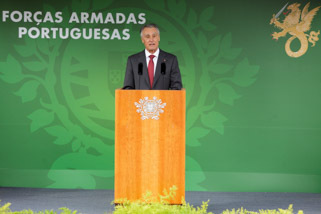 The President of the Republic addressed a message of congratulations to sculptor Rui Chafes upon his being awarded the Pessoa Prize. “I am prideful for the award of the Pessoa Prize – one of the most relevant in the current outlook of Portuguese culture – to sculptor Rui Chafes, to whom I address my warmest congratulations. Already established as an artist, whose work is represented in some of the most important national and international collections, and whom I was pleased to decorate as an Officer of the Order of Sant’Iago da Espada last year, Rui Chafes is undoubtedly one of the most original artists of his generation. The way which, in his work, the weight of materials is moulded and transfigured in artistic forms with the rarest of sensitivities, is particularly visible in its dialogue with other forms of art, especially poetry, cinema and dancing, with which his sculpture frequently postulates. I am thus overjoyed with the jury’s decision of including in the gallery of those rewarded with the Pessoa Prize a name such as that of Rui Chafes, whose contribution to the arts has long been recognized by the critics and by the public. On behalf of the Portuguese and in my own personal name, I congratulate Rui Chafes to whom I wish the best of happiness, hoping that his work continues to honour, as heretofore, Portuguese culture.